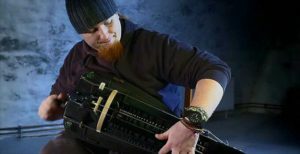 The Swedish musician Johannes Geworkian Hellman is considered one of the most interesting hurdy-gurdy players of his generation. The last years Johannes has become known as a passionate musician and artist who loves to share his music with the audience. He is working as a freelance musician and tours regulary in Europe as a Solo artist and with bands like Symbio, Garizim and other projects. He has been studying at the Royal College of Music in Stockholm, the Sibelius Academy in Helsinki, and also with some of the world’s leading hurdy-gurdy players of today. Johannes own music is a crossover between folk music, art music, pop music and improvisation. Simon Wascher grew up with folk music in Kremsmünster, Upper Austria and now lives in Vienna. The focus of his work is on the interpretation of traditional music on the hurdy-gurdy, in particular with sources and traditions from Austria and the entire German-speaking world and also with historically informed performance practice of the 17th to 19th centuries. Other focus are the traditional music of central France and Sweden. 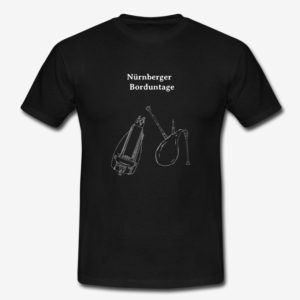 Since 1997 lecturer in courses for hurdy gurdy, for ensemble playing and dance in Germany and abroad. Winner of the 1st prize for hurdy gurdy solo at the competition in St. Chartier 2003. Since his childhood Johannes Just was enthusiastic about music. After his first steps playing tenor saxhorn different flutes followed. His way continued then with bagpipe and hurdy gurdy. 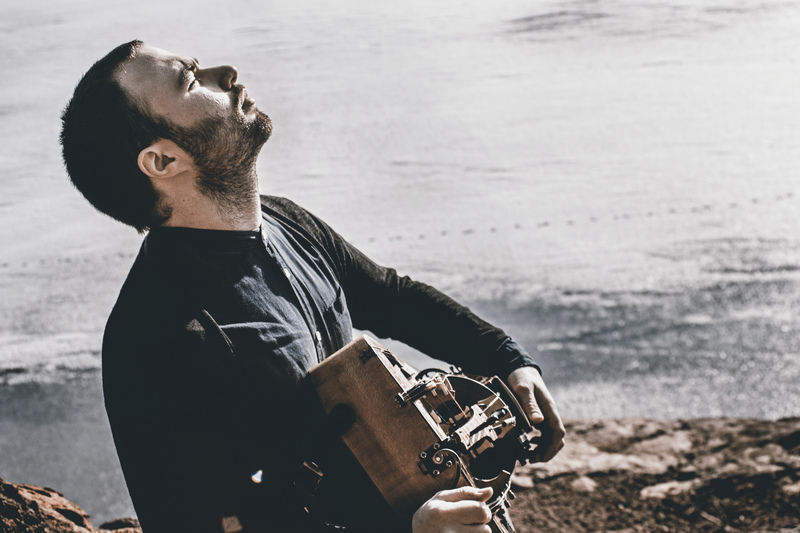 Today the hurdy gurdy is his main instrument, whereon he does not only play traditional dance music, but also gives songs a very modern interpretation. His music is shaped by many well-known hurdy gurdists especially Gregory Jolivet and Anne-Liese Foy, whose workshops he often attended. His talent was acknowledged with the solo lead of category “hurdy gurdy soloist” at the French festival „le son continu“ in 2016. Music has been part of Lauren “Laui” Weser´s life since early childhood. In addition to various flutes, she discovered the hurdy gurdy at festivals and concerts. 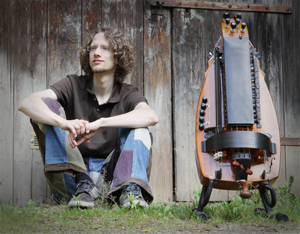 As a student of Alex Zwingmann she began to play hurdy gurdy and soon helped out occasionally with his former band Ignis Fatuu. From 2013 to 2015, Laui played in the middle-ages cult band “Des Teufels Lockvögel” and in 2013 she and Alex founded their electro-folk project Fiolka. 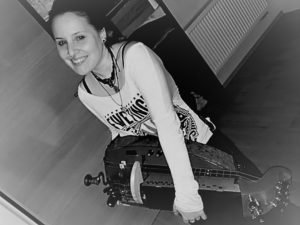 Laui played many concerts with her band “Nachtgeschrei” and as a guest musician with Ignis Fatuu, Delva and Fuchsteufelswild. Alex Zwingmanns passion for music came at the age of 16 years. In addition to violin, Nyckelharpa and bagpipe he is especially fascinated by the hurdy gurdy. He attended workshops in Germany, France and the Netherlands lead by Gilles Chabenat, Thierry Nouat, Patrick Bouffard und Efren Lopez. In 2004 he founded the Medieval-Rock band “Ignis Fatuu”, which attended numerous festivals like Wacken Open Air and Mer´a Luna. Parallel to that he started teaching hurdy gurdy and bagpipe. Since 2012 he offers workshops all over Germany at e.g. Festival Mediaval, Phantasy Spectaculum MPS and meanwhile also in Switzerland and Netherlands. Besides his electro-folk-project “Fiolka” he set up mediation music in cooperation with Martina Zehentbauer. Musician (diatonic accordion and bandoneon) and woodwind maker. He studied at Rotterdam Conservatorium and played in multiple Folk- and Tango-Bands. 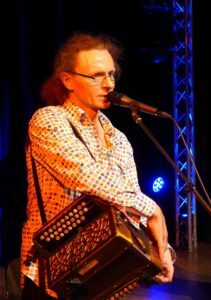 Besides performances (mainly with his “Budweis Quartett”) he is a great demanded teacher for diatonic accordion and ensemble playing and offers courses since 1998. 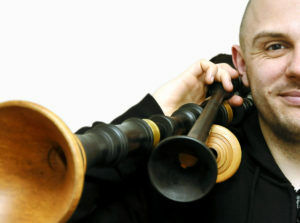 Thomas Zoeller studied Scottish music with main subject bagpipe at the Royal Scottish Academy of Music and Drama and at the National Piping Centre in Glasgow (2002-2005). He was not only the first German, but the first continental European to successfully graduate in this study. In summer 2005 he founded the bagpipe academy in Hofheim am Taunus. This is Germanys first official bagpipe school and a center for professional bagpipe lessons. In 2006 Thomas received composition appointment for Théâtre Municipal de Colmar. Since 2007 he is artistical leader of the interceltic folk festival. He performs concerts as a soloist and with different ensembles like ASPs Von Zaubererbrüdern, Estampie, Katherlyns Reise, Òran is Pìob und HOMEBOUND. He is one of the most renowned bagpipe musicians of Germany with more than 1000 performances, numerous CD/DVD productions and 2 published educational books. 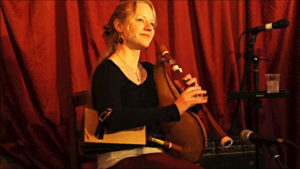 Daniela Heiderich studied traditional harp and bagpipe in Poitiers (France), where she also lived some years. Her expertise is traditional French bagpipe. Her music was originally known from the ensemble “Irrlichter”. Nowadays she is primarily active in traditional and old music as well as numerous projects from Bal-Folk-, World- and new music. She teaches regularly at workshops and conducted the bagpipe classes at Limoges Conservatory several years.